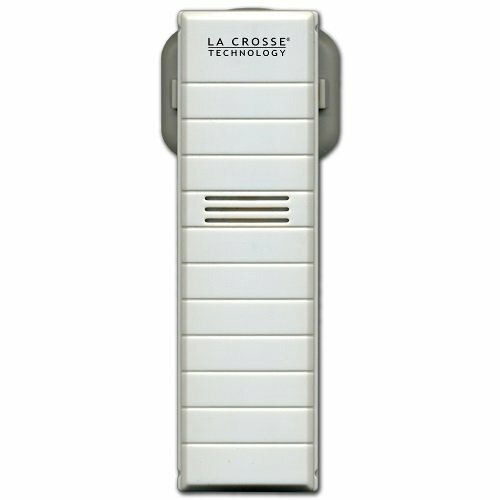 The La Crosse Technology TX29U-IT 915 MHz Wireless Temperature Sensor is used in conjunction with La Crosse Technology wireless temperature stations that use the 915 MHz Instant Transmission wireless technology. 1. Bring both units inside and have the units 3-5 feet apart with nothing in-between them. 2. Remove the batteries from both units. 3. Press one of the buttons on the display at least 20 times to clear all memory. Verify that the display is blank before proceeding. 4. Using a good quality alkaline battery place them back into the remote sensor; making sure they are installed according to the diagrams in the battery compartment. Next, taking care not to press any buttons, reinstall the batteries in the display according to the diagram in the battery compartment. 5. Do not press any buttons for at least 15 minutes after installing the batteries. (Let them establish a good connection. An outdoor temperature should be showing on your display. You can now put your outdoor sensor back outside.